You probably can’t do much fly fishing without the fly. But which one do you choose? 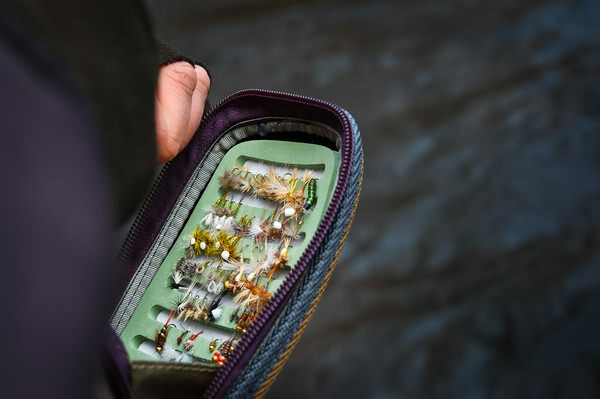 When learning how to fly fish, that question is one of the tough ones, but to help you determine just what to tie on the end of your line, we’ll discuss the three main fly types for trout: the dry fly, nymphs, and streamers. 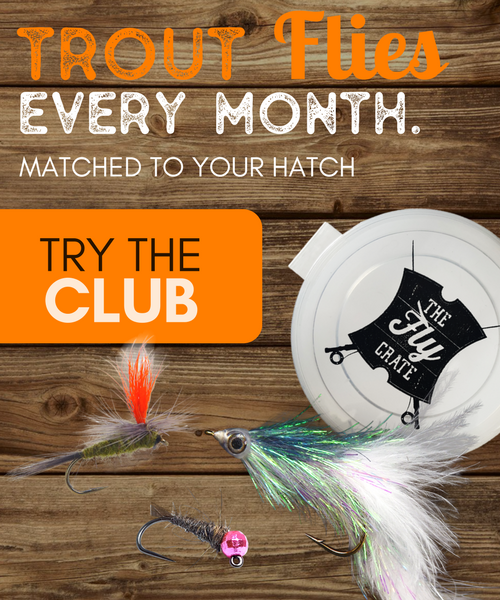 Fly fishing for trout includes vast varieties of flies available for you to try and catch that elusive fish, having a solid understanding of each different type and when they are used can mean the difference between catching the most fish of your life or heading home skunked. 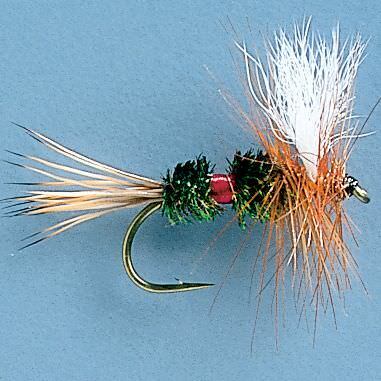 The dry fly is probably one of the most exciting types of flies to fly fish for trout with. A dry fly is a type of fly that floats on the surface of the water. This makes it exciting because the fish has to come up to the top of the water and eat the fly off from the surface. This gives you a first-hand view of the fish feeding and makes for a very visual presentation. It also helps you know just when the fish has taken your fly, compared to nymph fishing. Dry flies are designed in many different varieties. The most common are those that are created to “match the hatch”, or to closely resemble the types of insects that hatch from the nymph stage into insects that fly through the air. These types of bugs are the ones that you can typically see when you are out on a river or lake. Species of these types of bugs include the mayflies, caddis, stoneflies, etc. You can also have a dry fly that resemble a terrestrial type of bug, those being grasshoppers and ants that float along the water as well. 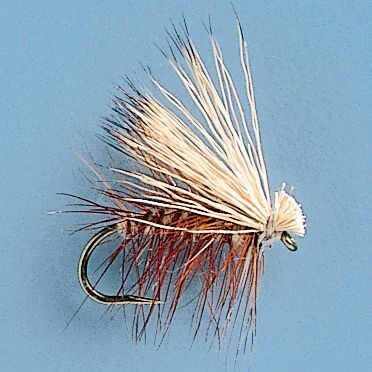 The other variety of dry fly is that which is called an attractor. Flies in this category are not designed to look like any specific type of insect. You’ll see them with flashy colors and rubber legs dangling off from them. The reason is that with fish being an opportunistic feeder, they see some sort of floating insect above them and it looks close enough to be a food they have eaten before so they eat it. The downside to this exciting type of fly fishing is that dry flies are not always a productive pattern to use. Depending on the river or lake where you are fishing and just how much pressure those fish receive can have a huge impact on the fish rising to the surface to take a fly. Some fish are so cautious that unless there is a specific reason, that being a hatch of insects, they will not come up and take a dry fly. Also, talking about trout specifically, they feed 80% of the time under the surface of the water. That gives you a 20% chance on being super successful with fishing a dry fly. Don’t get discouraged about that last part though. Dry fly fishing can still be productive and is probably one of the most enjoyable types of fly fishing you can have. Seeing a fish rise up out of the water is a sight every angler should see and will keep you coming back for more. 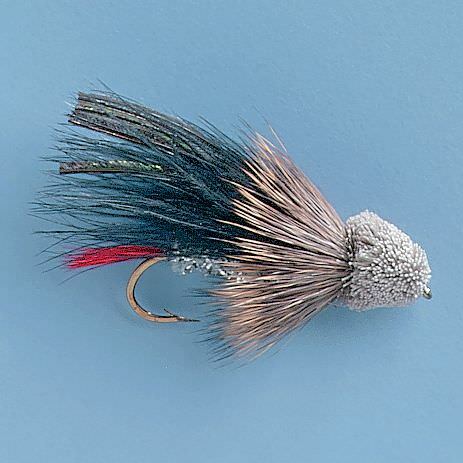 The nymph is considered to be the most productive of all of the flies to use to fly fish for trout due to the fact that fish, trout specifically, feed approximately 80% of the time underwater. And that is just how you fish the nymph, under the surface of the water. The nymph is one of the stages of insects such as the mayfly, caddis, or stonefly. As with most insects, they transform through various different stages until they reach the end of their life-cycle. The nymph is the stage in which the insects live their lives under the surface of the water, along the stream beds, in the lake bottom, an other such areas. Because of this, they become very abundant for the fish to feed on. That is precisely why trout feed primarily on these types of insects. With this being a fly that is fished sub-surface, it is necessary to use certain fishing techniques in order to detect the strike of the fish and catch them. Since you cannot see the fly as it floats under the water, detecting when the fish takes the fly is a problem. That is why many anglers use an item called a strike indicator. 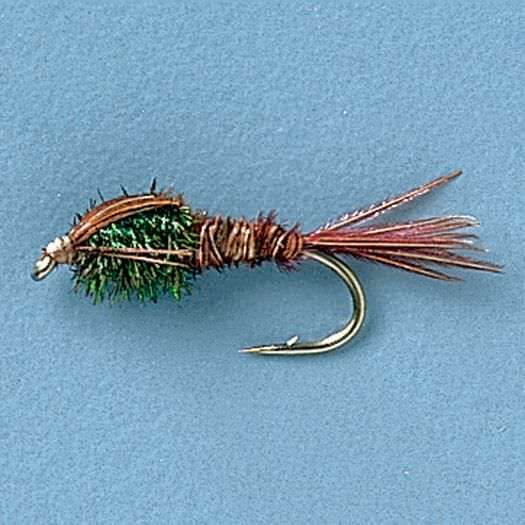 This is essentially a small float that is attached up on your leader above the fly and floats along the surface as your fly drifts along. When a fish takes the fly, the indicator can do a few different things. It will either stop, slow down, move upstream, or even some other slightly different action that is not normal. The downside to fishing with an indicator is the lag time from when the fish takes the fly until you notice the indicator movement. You can still catch many fish this way though, but it does take some practice. Another option is one of the various European Nymphing techniques that are becoming popular. These techniques do not utilize a strike indicator and are typically very close-quarter fishing techniques. Many times you are no more than a rods length away from the fish you are fishing to. They also can utilize a colored section of leader somewhere in your leader setup to act as a strike indicator but without the drawbacks. European nymphing is a specialized form of nymph fishing and something that will be discussed later on. The streamer can be one of the funnest flies to fly fish for trout with, along with one of the most productive, second only to the nymphs. Most strikes to a streamer tend to be quite aggressive and explosive as the fish attempts to eat the fly as fast and hard as possible so that it doesn’t get away. Make sure you use a heavier weight of tippet when fishing these! 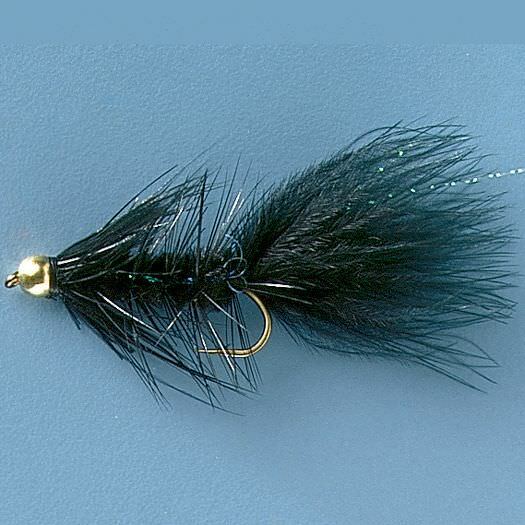 Streamer flies tend to imitate foods such as leaches, minnows, sculpins, and other types of larger underwater fish foods. 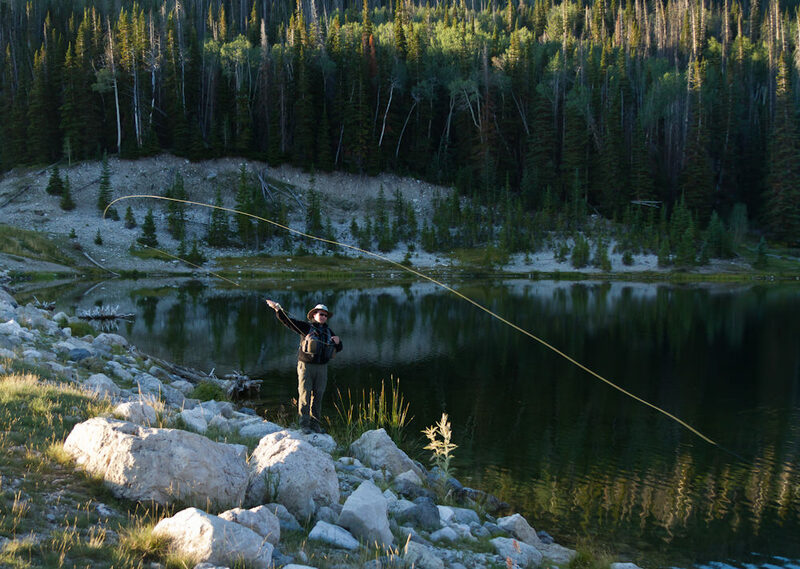 A streamer is fished by casting your line out to a likely looking spot in a lake or river and stripping, or pulling, your fly line in in short pulls or longer pulls. This stripping method moves your streamer through the water in short or long bursts. Combine that with the materials used to create these types of flies and you get a fly that looks alive due to the movement underwater from the material. It almost creates a pulsing type of action that most fish simply can’t resist. There are a variety of methods in which to fish a streamer. The methods mentioned above are the basic that will get you fishing a streamer in no time. This method also most closely resembles fishing with a spinning lure that you would use with conventional fishing methods. You cast the fly out and retrieve it, but instead of the lure creating the action, you are creating the action in the fly by the type and speed in which you strip in the fly line. In the future I’ll post a video showing this basics streamer fishing technique. 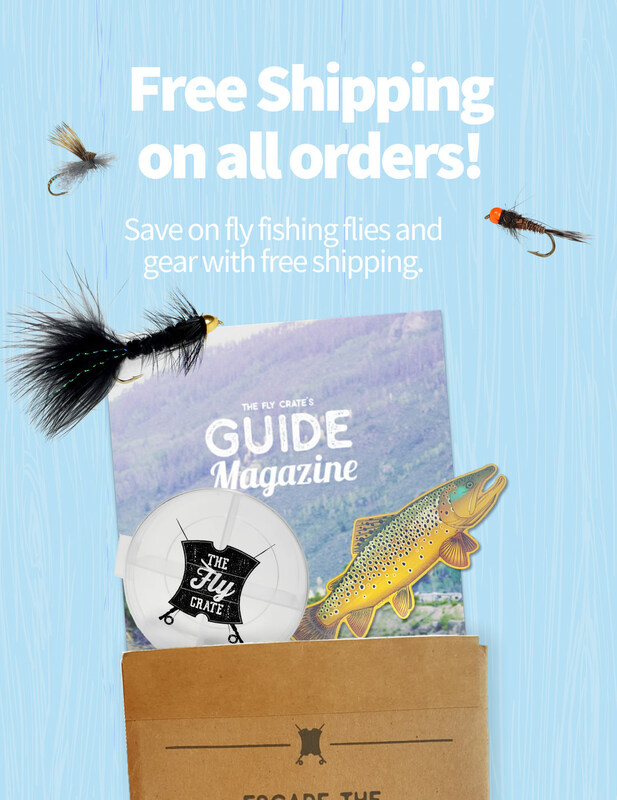 Those three types of flies are the backbone flies that you may use while out on the water. Differences in where and when you fish determine just what type you are going to use and becoming familiar with those differences takes some practice and time out on the water. When you are just starting out though, you can effectively fish with any of these to help you gain basic fly fishing experience and before long it will be second nature. In future articles I’ll dig deeper into specifics of the type of fishing you may do from multiple fly rigs to streamer techniques. Stay tuned for more! And be sure to share this article with your friends and sign up for my mailing list. Tight lines!